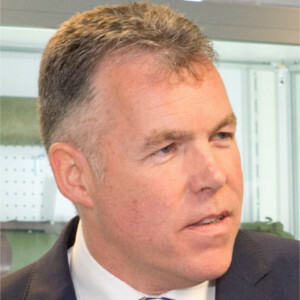 Richard Walton is the Director of Counter Terrorism Global Ltd, a company that assists governments, private corporations and NGOs in designing and implementing solutions for countering terrorism and extremism. He is also an adviser, writer and speaker on counter terrorism and counter extremism. A former Commander at New Scotland Yard, he was Head of the Metropolitan Police Counter Terrorism Command (SO15) between 2011-2016 and spent the majority of his thirty-year policing career in the counter terrorism field. The Counter Terrorism Command has a worldwide reputation for excellence and is regularly deployed internationally. Richard was Head of Counter Terrorism for London during the Queen’s Diamond Jubilee and London Olympic and Paralympic Games in 2012. He has travelled extensively to countries affected by terrorism, providing advice to governments in South and South-East Asia, the Middle East and East Africa. He lectures in the UK and is a regular key note speaker at international conferences on counter terrorism and counter extremism and is a Counter Terrorism Consultant for CBS News. Richard is a Senior Associate Fellow at the Royal United Services Institute (RUSI), an independent think tank, providing cutting edge defence and security research. In 2015, he featured in the Debrett’s 500 list of most influential people in Britain in recognition of his contribution to countering terrorism. He holds a BSc Hons degree in Policing and Police Studies from Portsmouth University and a MSc in International Relations from the London School of Economics (LSE).